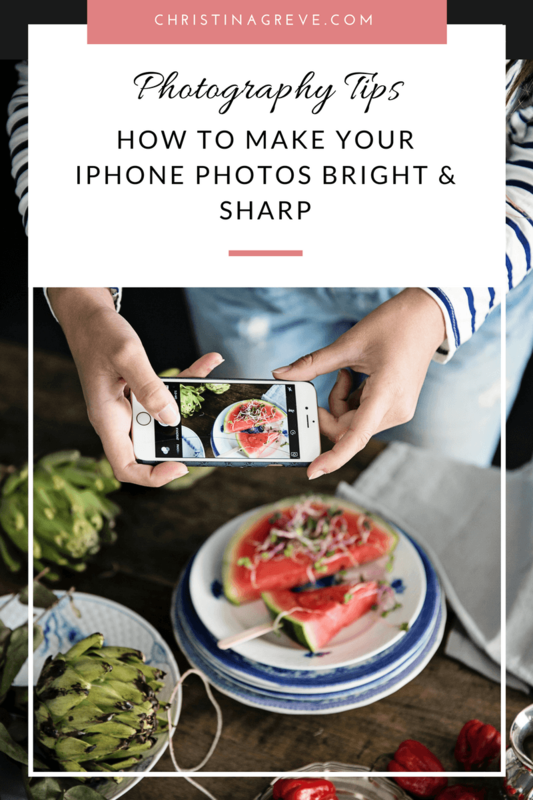 If you wonder how to create, professional-looking, beautiful, bright and sharp photos with your iPhone – this tutorial is for you. 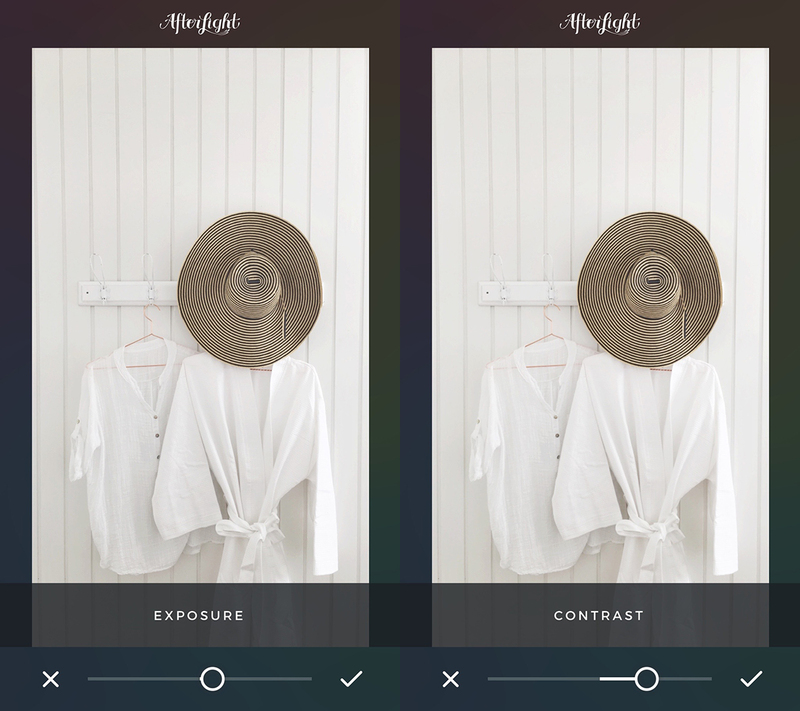 Everyday iPhone snapshots tend to be dark, full of shadows and sometimes also with a yellow tint caused by artificial light – even daylight can cast a yellow light over your iPhone photos. You might like or dislike this look depending on your taste. But If you wish for a “cleaner” and more bright look, all, you have to do, is to follow this tutorial. The thing that most people do “wrong” is they add a filter or even more than one filter and leave it at that. 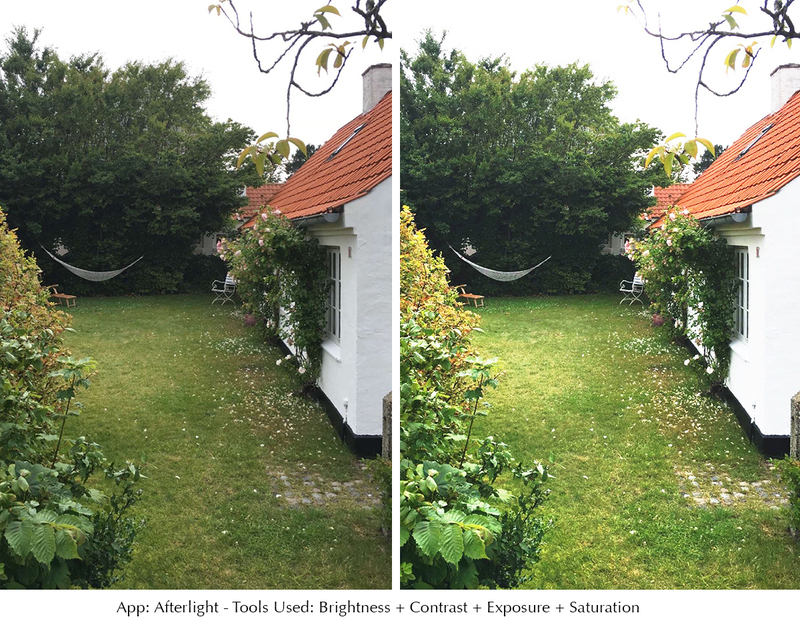 In some cases, it works out perfect and can save a photo, but in some instances, it looks a bit overdone. #1. 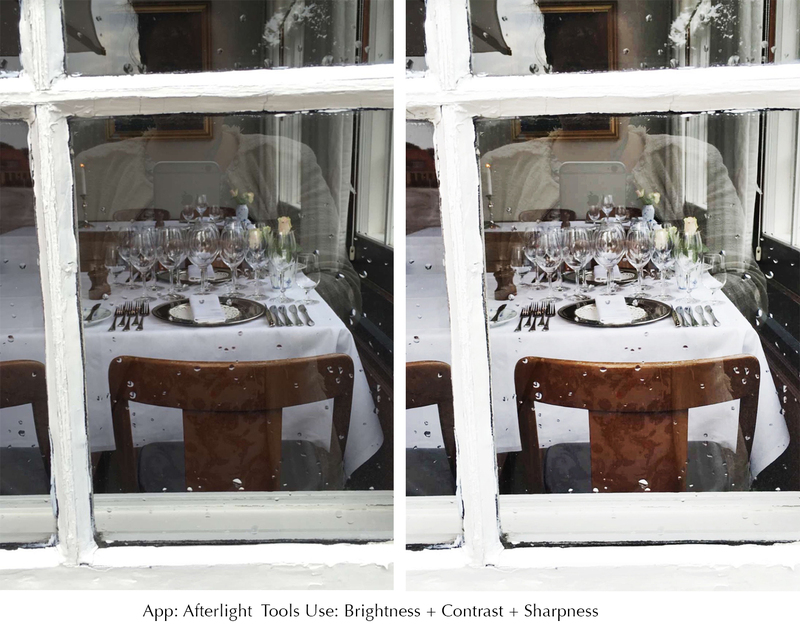 Before you begin to take a photo with your iPhone, make sure you have the best light available to you. Stand close to a window if you are inside and turn off all artificial light in the room. Walk around your home to find the most beautiful light – it can easily vary from room to room depending on the time of day. #2. 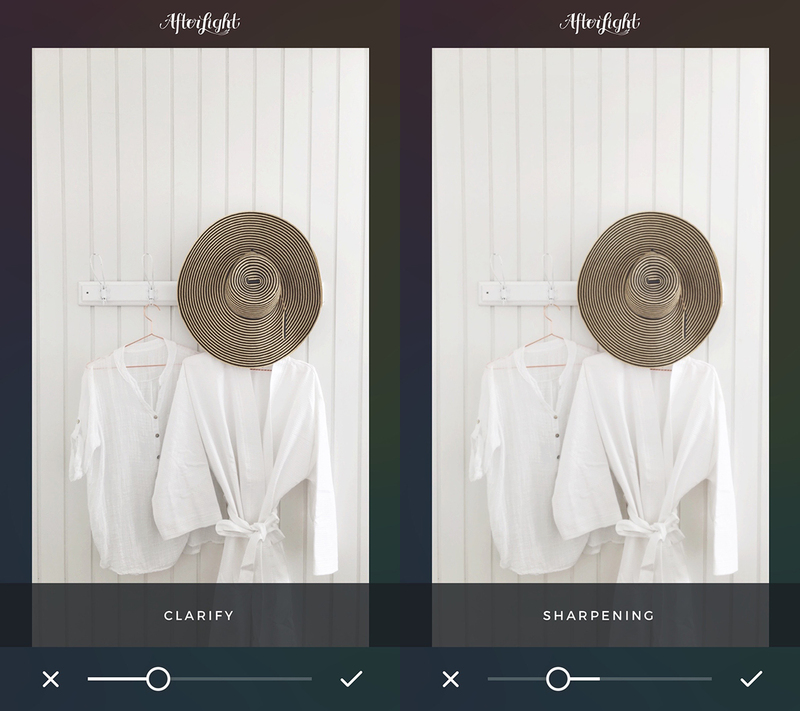 Start your editing process using basic adjustments like brightness, contrast, exposure, highlights, sharpening and so on. #3. 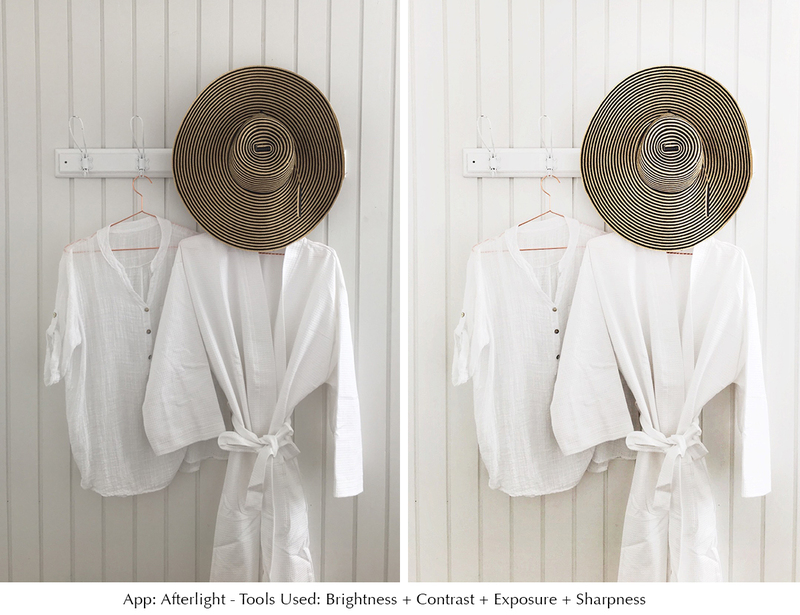 If you think, your photo, still need something extra apply a filter as a finishing touch. The secret to working with filters is only to add a little. Always lower the effect you add to avoid overdoing it. 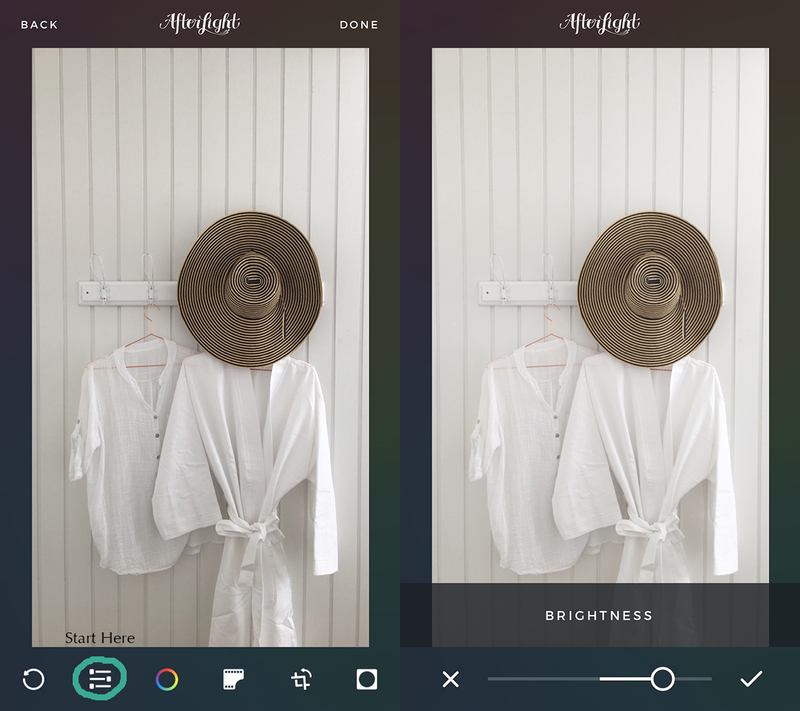 In this tutorial, I use Afterlight. 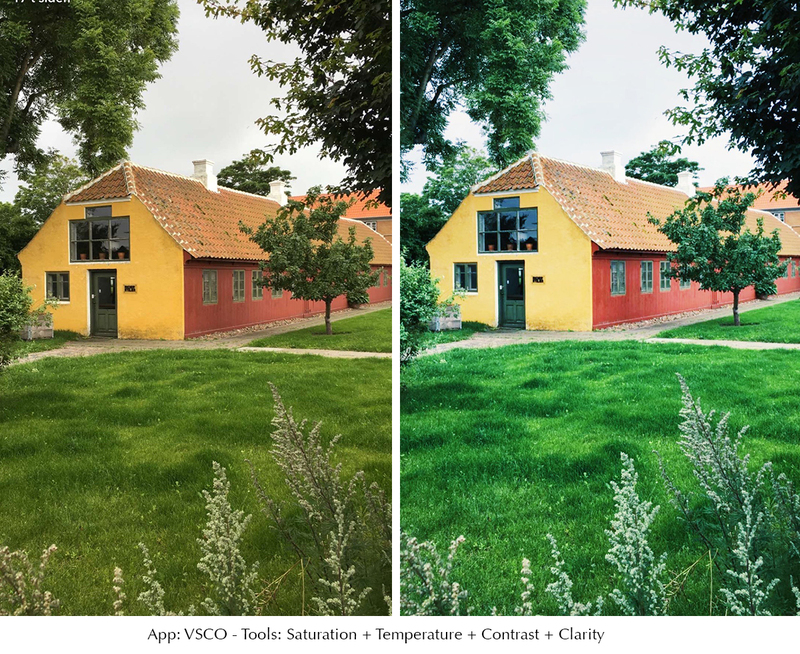 But you can easily use the Instagram app or the VSCO app – both have excellent basic adjustment tools. 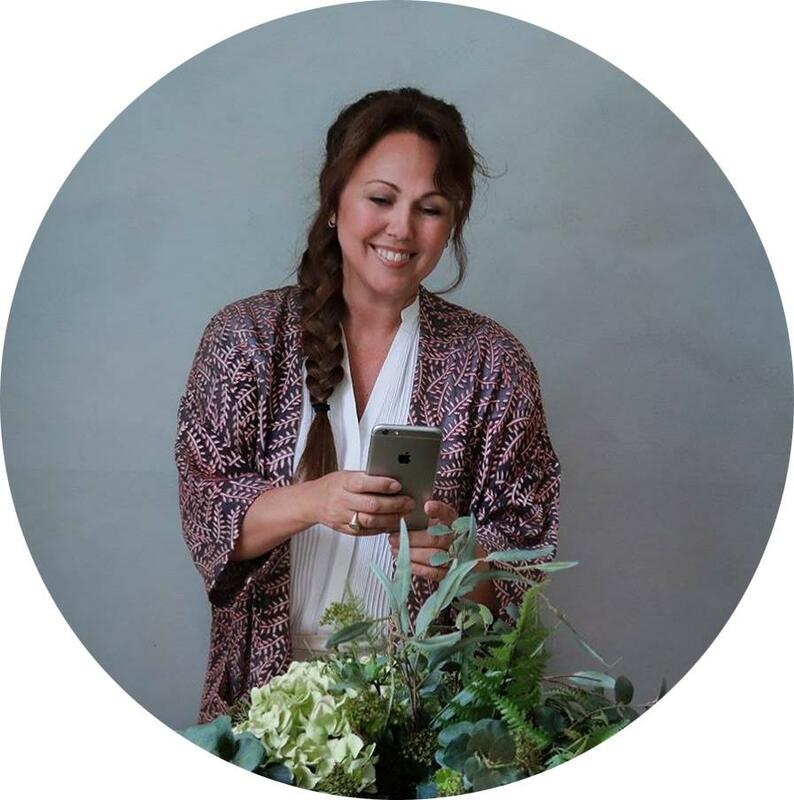 I mostly use iPhones own camera app – the square format. It can create beautiful and sharp photos as long as you have enough good daylight available. If I have trouble controlling highlights or shadows, which sometimes happens when there´s too much or not enough light, I like to use the Camera+ app. Below you see each step in details. Remember that your photos are different from one another depending on the conditions they are photographed in and therefore need different things. Not all your photos will require all of the steps below. Be open to experimenting and use your eyes to see if you add too much or to little of an effect. It will get much easier with time, I promise. 1. 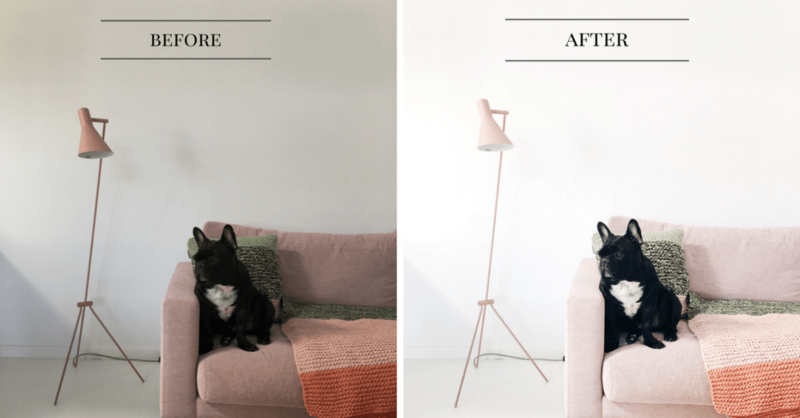 Upload it to Afterlight or any other app with basic adjustments. 2. Follow the instructions below. For a really bright look repeat the steps 1-2 times more.